Mr. Sherman “Squire” Norton age 78, of Mt.Vernon passed away Sunday September 30, 2018 at his home. He was born on March 16, 1940 in Rockcastle County the son of the late Foist and Dovie McKinney Norton. 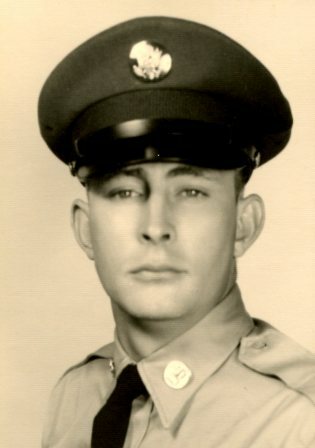 He was a retired Barber, and was a U.S. Army Verteran of the Vietnam War. Survivors are: one brother; Joe Norton of Winchester. Three sisters; Mildred Pace of Indianapolis, IN, Iris Slaven of Clayton, IN, and Dora Pace of Mooresville, IN. Besides his parents he was preceded in death; two brothers; Herman, and Norman, and by one sister; Melba. Funeral services for Mr. Sherman “Squire” Norton will be conducted 12:30 PM Friday October 5, 2018 at the Cox Funeral Home with Bro. Cory Meggs officiating. Burial will follow in the Mill Springs National Cemetery in Nancy, KY. Arrangements are by the Cox Funeral Home where friends may visit from 10 AM until service time on Friday. In lieu of flowers: Memorial contributions are suggested to: The Wounded Warrior Foundation, The American Heart Association or Charity Vision International.